with us before we left for the mission field. God drafted one of his star players to his skyward team this past Friday. My amazing pastor and friend, Kenny Walker, left his earthly team and headed for greener fields and golder streets. Heartbroken, yet joyful that he is in complete health now, I’ve spent the last few days trying to put into words what he meant to me. John Maxwell, noted leadership guru, defined coach as “one who comes along side you to share life, teach, listen, and lead; a good coach adds value to others.” I couldn’t think of a more perfect definition to describe Kenny. 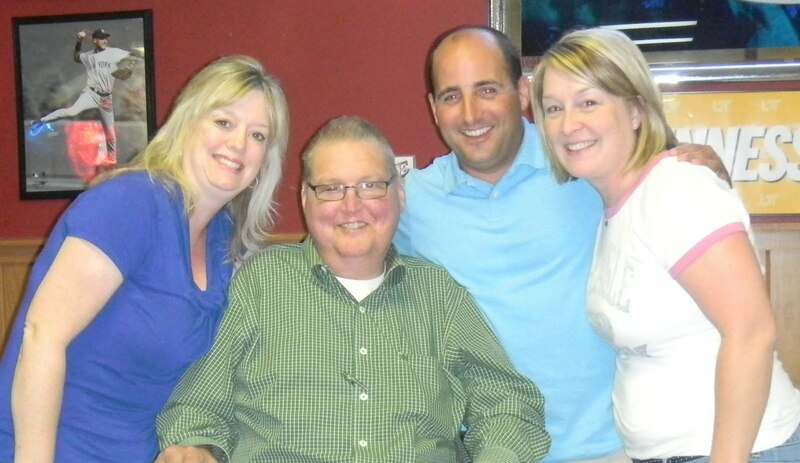 One of my favorite things about working with Pastor Kenny was that he invited my family to share life with him. As his youth pastors, he treated us as partners in ministry not hired underlings. He, along with Linda and the boys, celebrated our children’s birthdays with us, sweated through 4th of July parties at the lake together, even shared Sunday lunches as family. He wasn’t only there during the difficult days, but he was there through the ordinary days. Kenny was also a teacher as the definition states. During our youth ministry, teachable moments occurred with Keith and I on several occasions. On our first out-of-town youth trip, we made some pretty serious mistakes. One, we left the checks (the ones that paid for all of the activities) back at Keith’s office. Two, we lost the only van key somewhere in Islands of Adventure. The first mistake required the extended use of Mrs. Linda’s American Express, and the second required an expensive trip from a locksmith. His response was a simple question: “Are you ever gonna make those mistakes again?” Then he laughed with us. Every time we made a not-so-smart decision, he reacted in the same way: a gentle correction followed by laughter. Although Kenny was an amazing teacher, his listening skills were that of a trusted coach as well. Maxwell expands his definition of coach by stating that “coaches require an ability to understand their players: live where they live, think how they think.” Kenny always did this for us. He understood what it meant to be parents of young children; he guided Keith through the grief of losing a parent and caring for an chronically ill father. In ministry, you live in a glass house and very often you are forced to slap on a smile and pretend that your life isn’t falling apart when it really is. He gave Keith and I permission to be ordinary people with flaws. He, too, allowed others to see his flaws so that we could realize that life isn’t about being perfect. It’s about trusting God to work through our imperfections. A great coach doesn’t manufacture loyal and dedicated players; he earns them by living out all these qualities. A coach’s integrity, wisdom, and unconditional love make him a leader. Players don’t love their coaches simply because he holds the title “coach.” They love him because he sees value in them and treats them with value. I wanted to be on Kenny’s team because I saw him walk with integrity, seek after God, and cherish his family, but also because he valued me, flaws and all. I am who I am because of his influence, because our families shared life together, because he listened, he taught, and he lead by example. Good coaches may win games, but great coaches change lives. You were one of the greats, Kenny! This entry was posted in Uncategorized on July 26, 2011 by aliciachall28. Pastor Kenny would love this! I do too! !